Chinese Film Week kicked off in Portuguese capital Lisbon on Sunday with seven Chinese films on show in cinemas across the country. The seven Chinese films include the inauguration film American Dreams in China, Operation Mekong, Born in China, Wolf Totem, Monkey King: Hero is Back, Song of Pheonix and Go Away Mr Tumor. 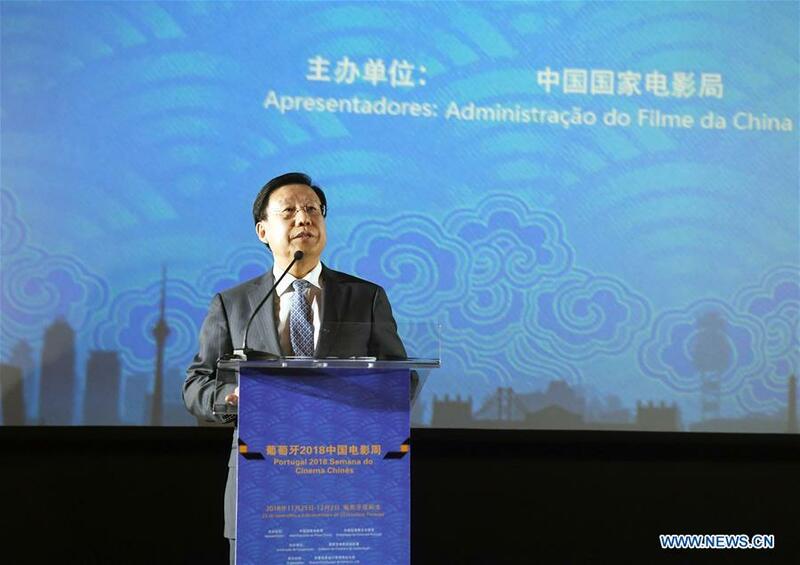 Speaking at the opening ceremony, Wang Xiaohui, executive deputy head of the Publicity Department of the Central Committee of the Communist Party of China, who is also the head of the State Film Administration, said that China and Portugal have a history of 500 years in contacts and exchanges, hoping that the holding of the Chinese Film Week will further strengthen the exchanges and cooperation between the film sector of the two countries, deepen the understanding of the two peoples over each other's culture and enhance the friendship of the two peoples. For his part, President of the Institute of Cinema and Audiovisual of Portugal Luis Vaz said that the holding of the Chinese Film Week will strengthen the friendship of the two peoples and it also provides a good opportunity for promoting the popularity of the Chinese films in Europe and other western countries.